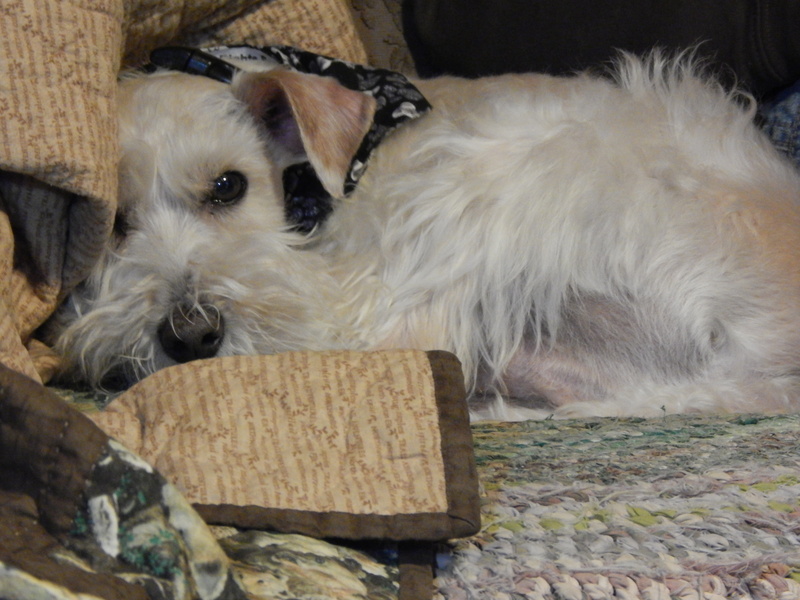 What does a quilt inspector do when he is not inspecting? The projects I am currently working on are slow going and he really doesn’t have much new to inspect. He does perk up when he hears the camera click. but if he doesn’t see me with a quilt in my hands he stays put. Inspection duties don’t really begin until a quilt is on the floor. 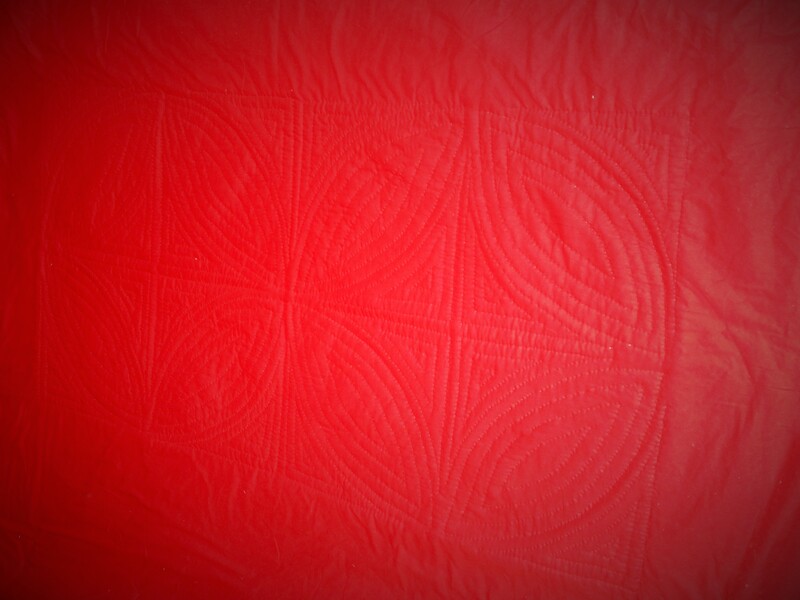 Look at the back of the applique quilt. I think that adding trapunto was the right choice. 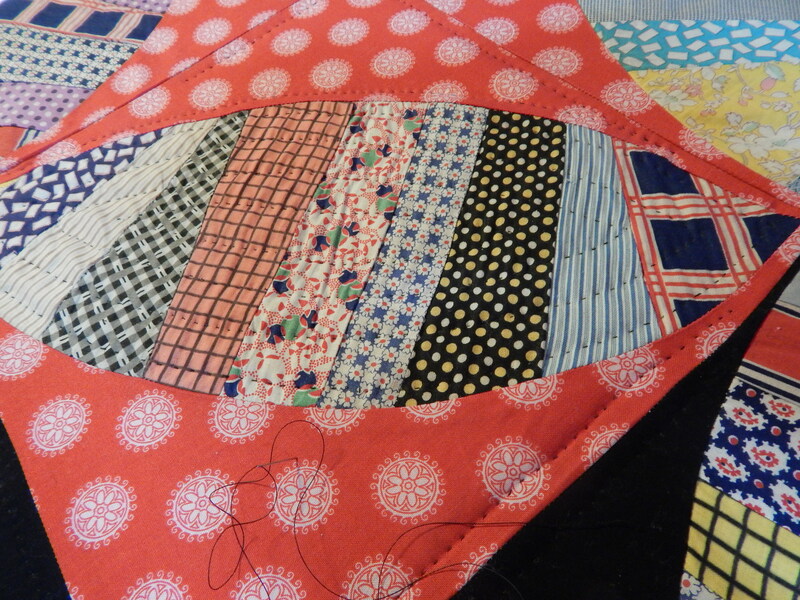 The melon quilt is not easy. The thick batting is hard to quilt through and I should have rinsed the melon blocks before I pieced them. They have a lot of starch in them and that makes for harder hand stitching. 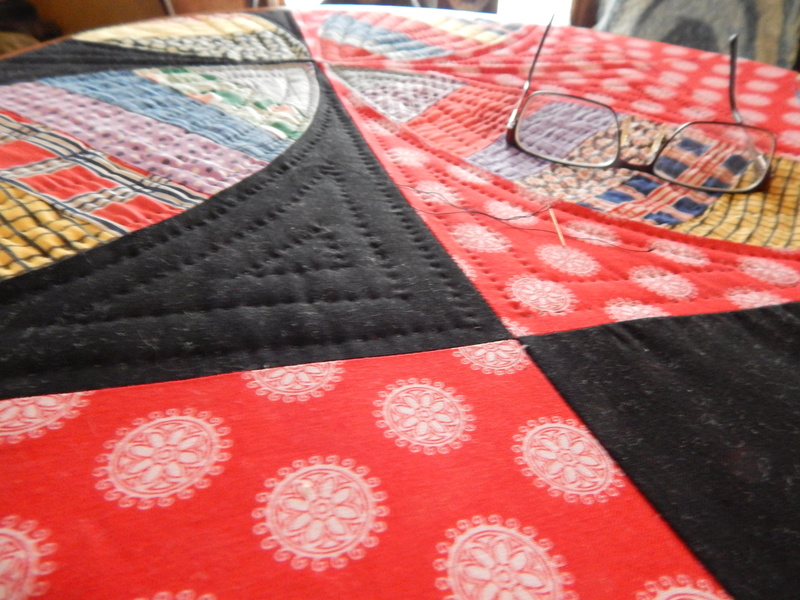 I am just quilting over the bumps. Once it is washed it will be very hard to tell where the bumps were because the batting will shrink in the wash and cause an overall crinkle. 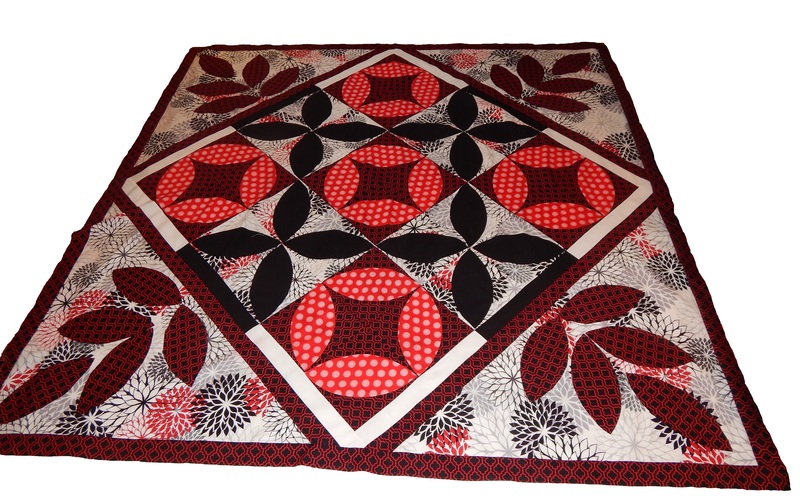 This entry was posted in Quilts and tagged hand quilting, Quilts. love to see progress… the Trapunto is spectacular!!! An inspector does have to get his rest so he can think clearly. 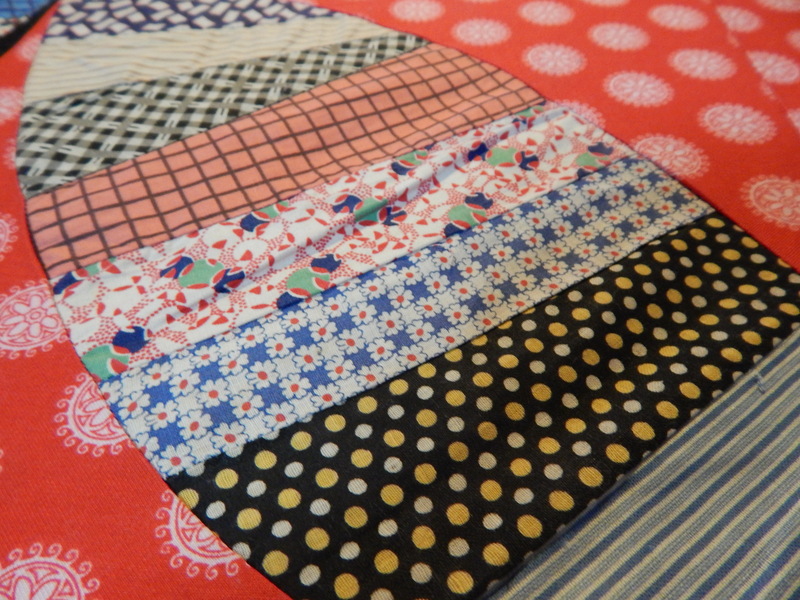 Beautiful work on the quilts! BTW – I’m heading back to Michigan on Sunday – do you have any event in the next couple of weeks? oh please do tell – where in Colorado in May? Beautiful definition on the melon quilt. Actually, on all of them! 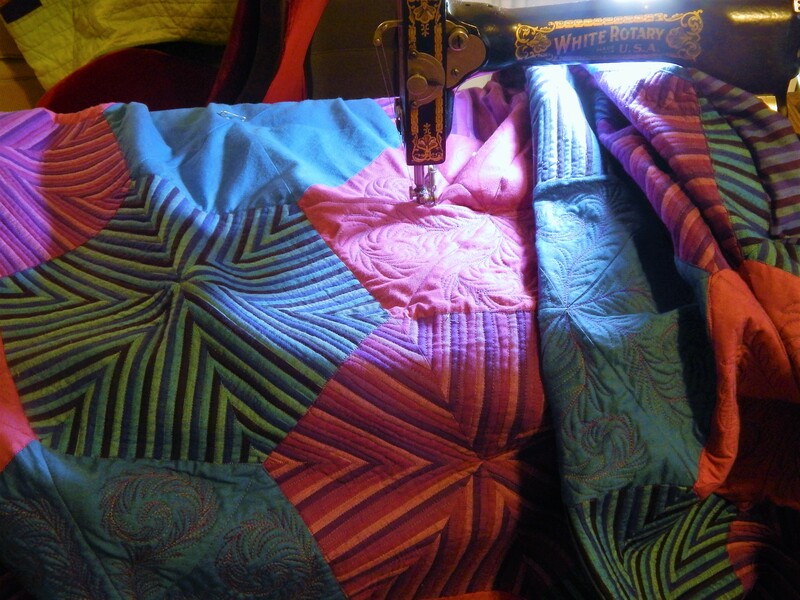 Too bad you’re having such a hard time hand quilting that heavier batt. 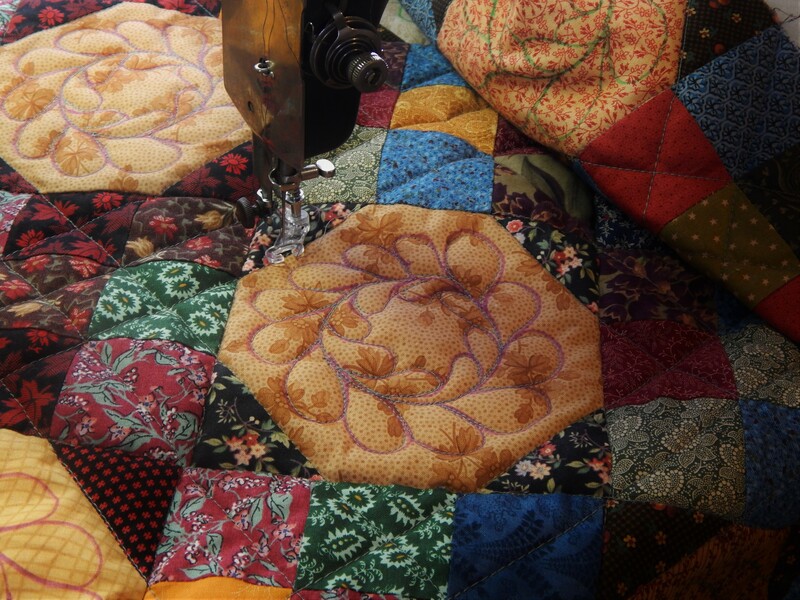 Perhaps it was meant more for machine quilting, since that seems to be the most popular thing these days. 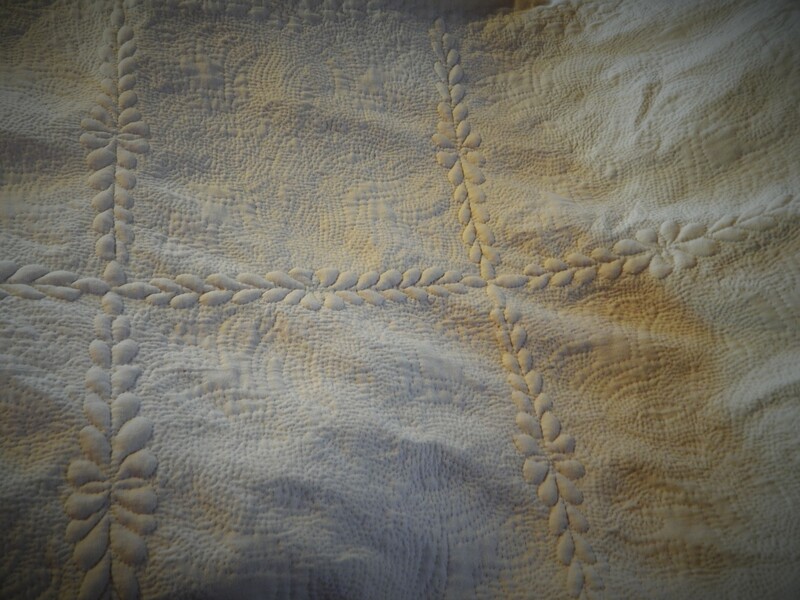 I think I will use a wool batt for my next quilt, and probably do some machine and some hand quilting. Have you worked with wool before? As always, I love seeing your quilts, and your little inspector! 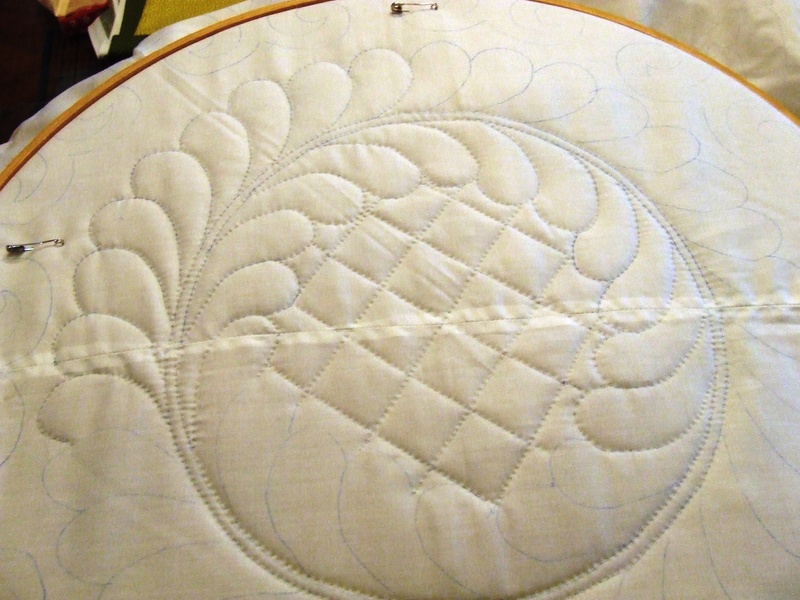 Beautiful work ~ I’m learning hand quilting, but don’t have a hoop so I do some projects. 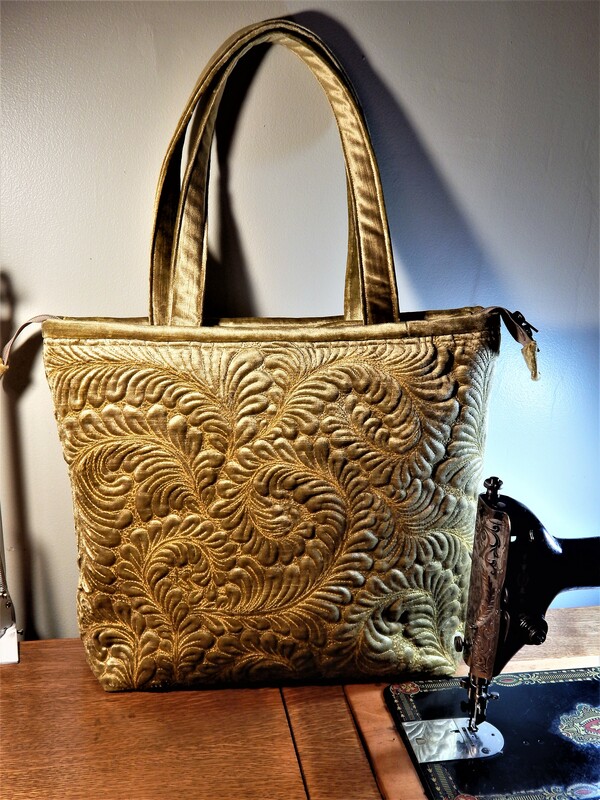 can a embroidery hoop be used? I m also looking for a hoop, but I can only use a very small one because my digits dislocated pretty fast. Teddy knows there’s a time to works and, a time to rest. He’s a smart inspector😊. Hope that the quilting gets easier as you work on it. It’s going to be awesome when you finish. I most love the last one, that you re gonna be quilting soon. The pattern, can I copy it for charity quilts? free quilts for parrents who ve just lost a baby. I think it gorgeous and I can send you a picture if it s finished. What a great job you did putting the Watermelon quilt together and then using the other pieces to make another gorgeous quilt. Such talent. Teddy has learned to save his energy for true inspecting! !